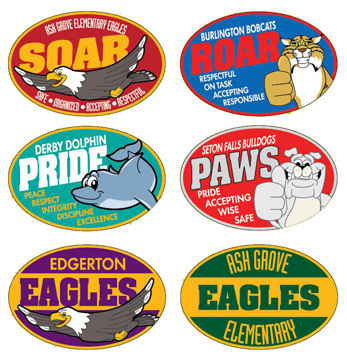 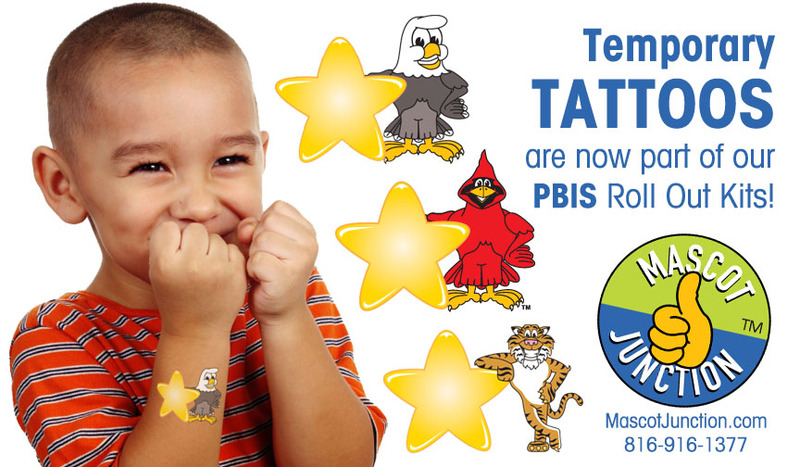 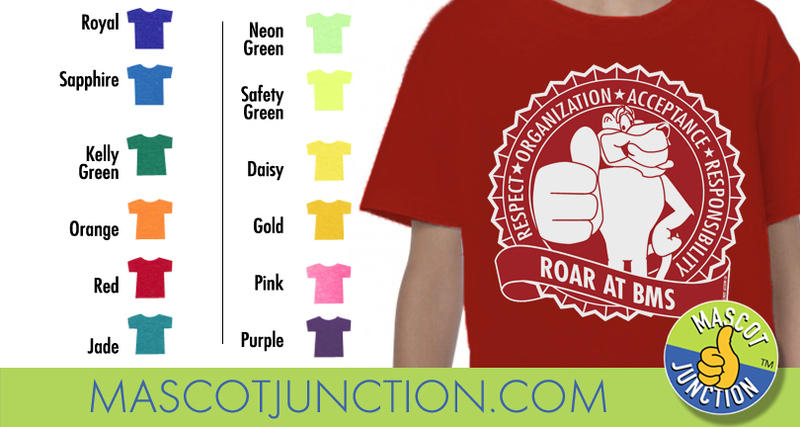 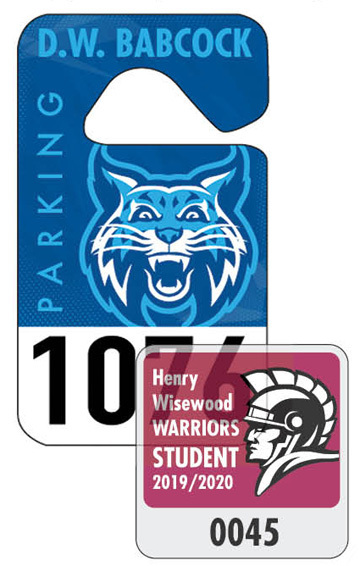 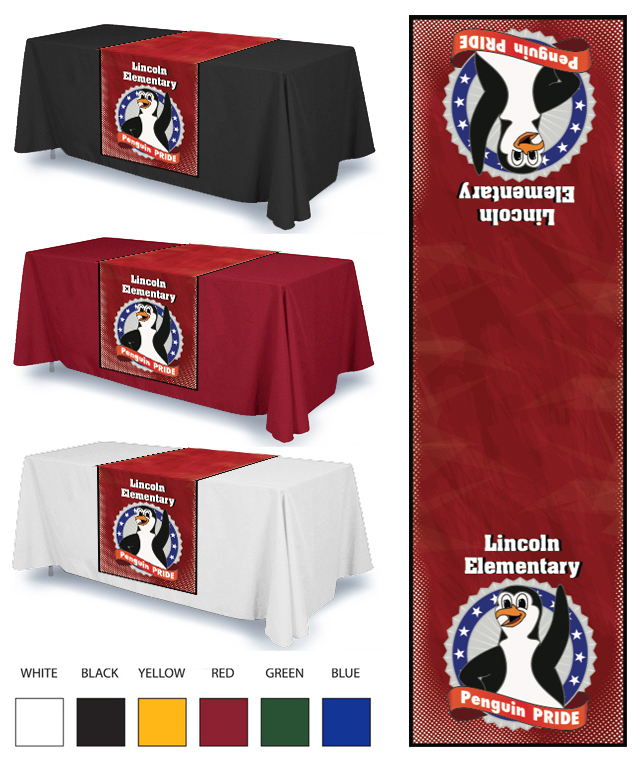 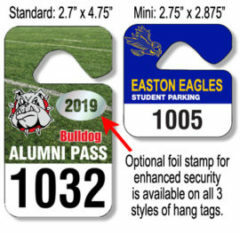 These logos are customized with your school name and colors, and used on posters, banners and signs. 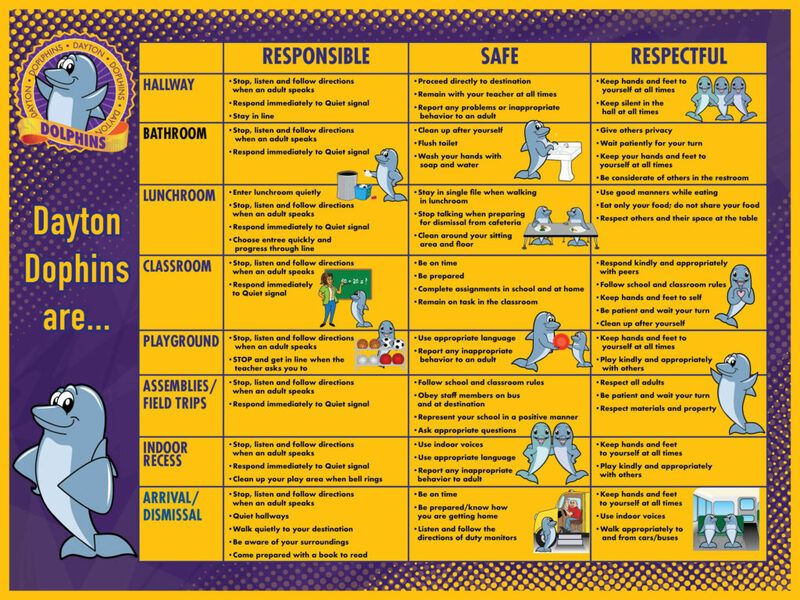 Use this clip chart for behavior management in your classroom. 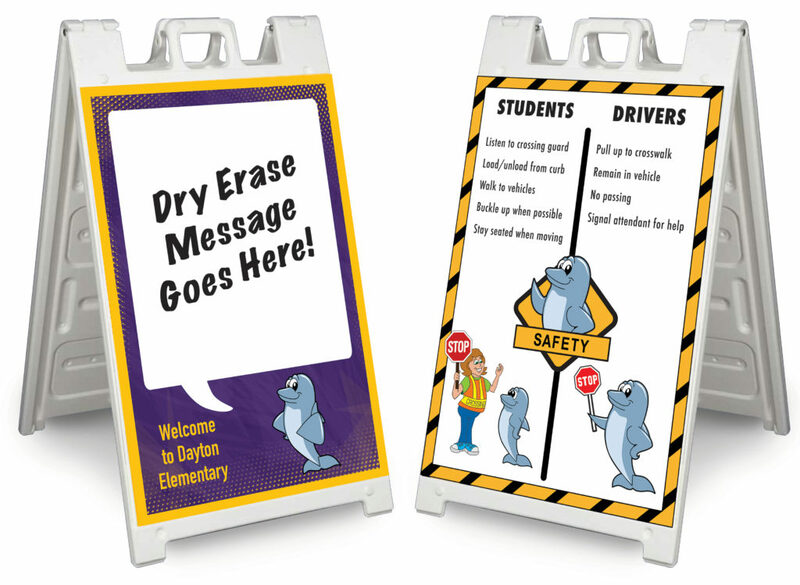 Buy the clip chart as is, or have us customize it for your school. 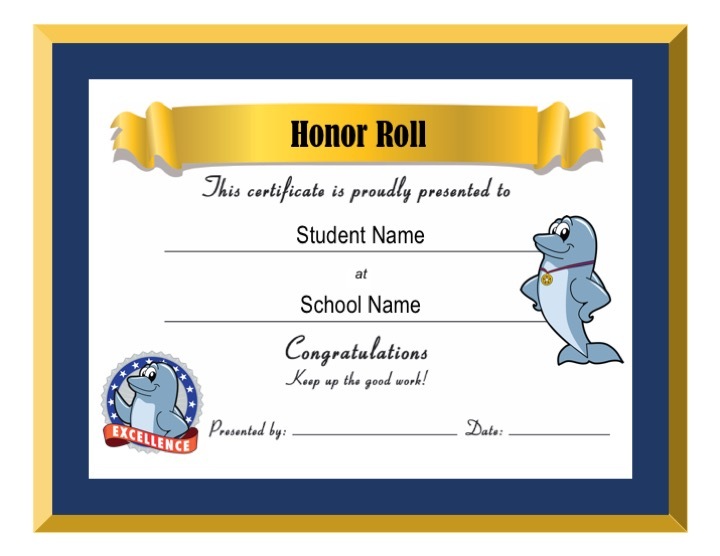 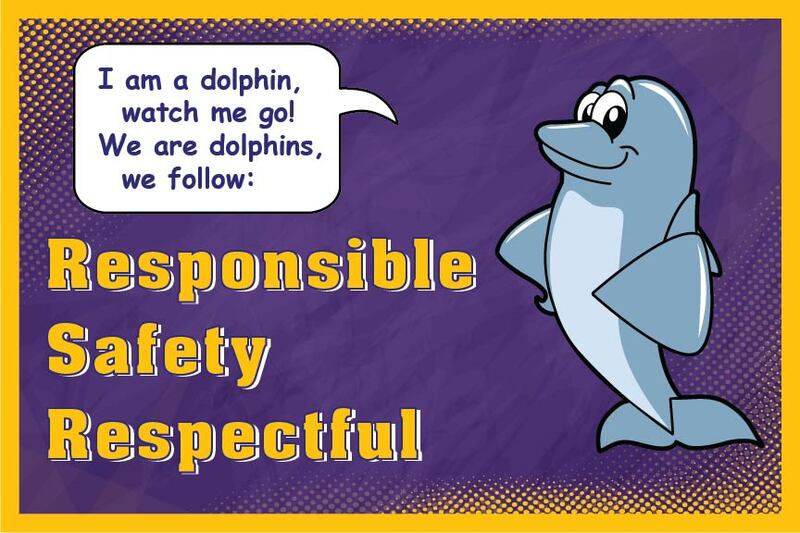 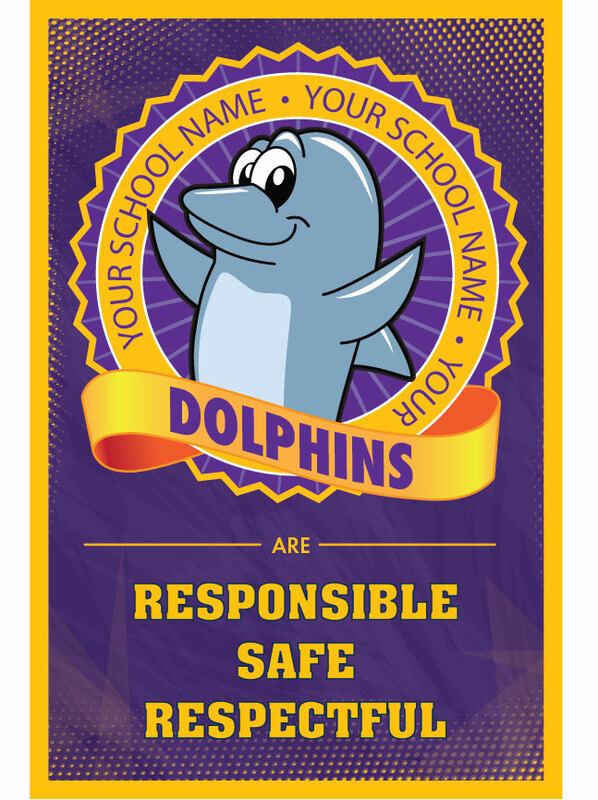 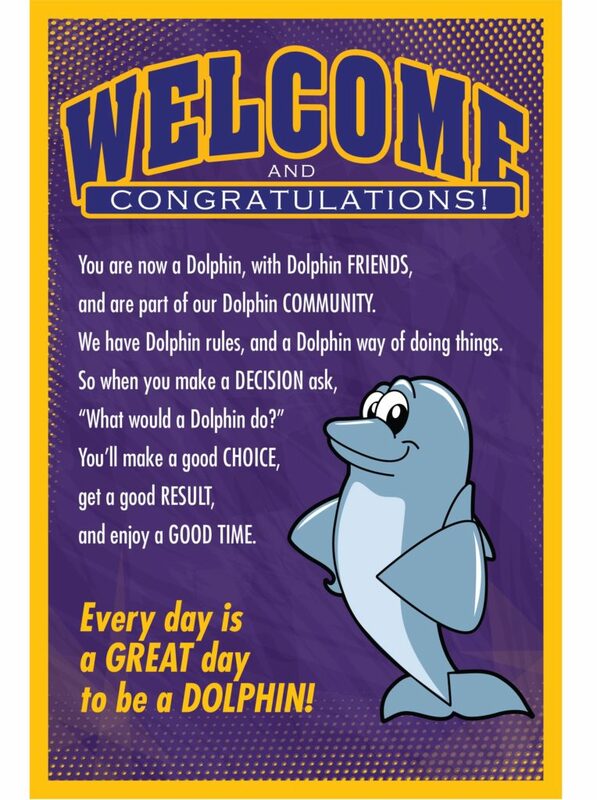 Our dolphin posters and banners are designed to support schools with PBIS, or character trait education, programs. 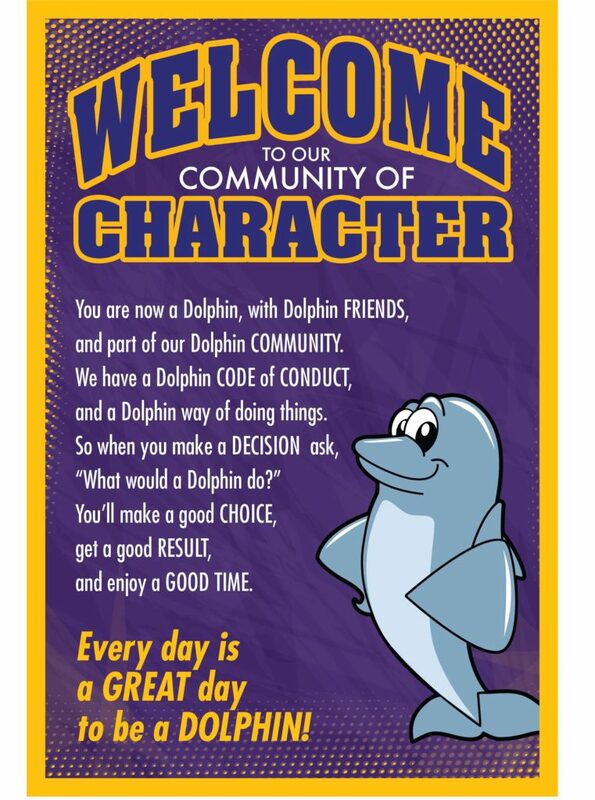 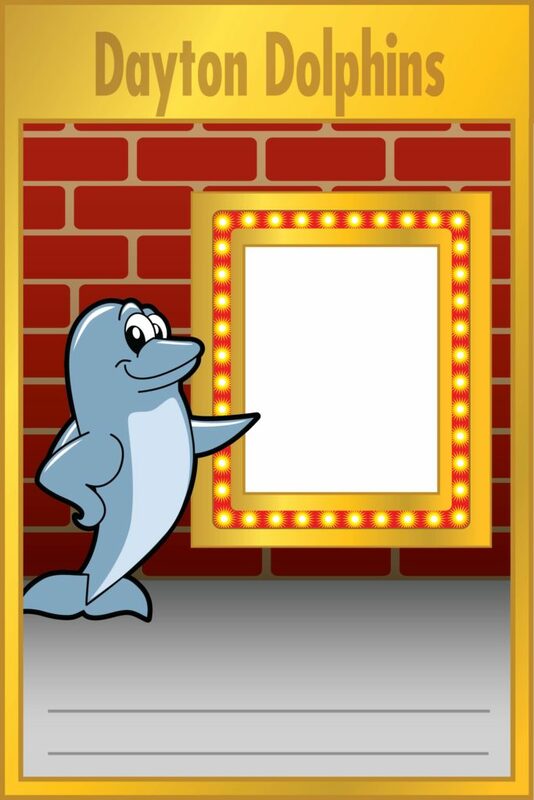 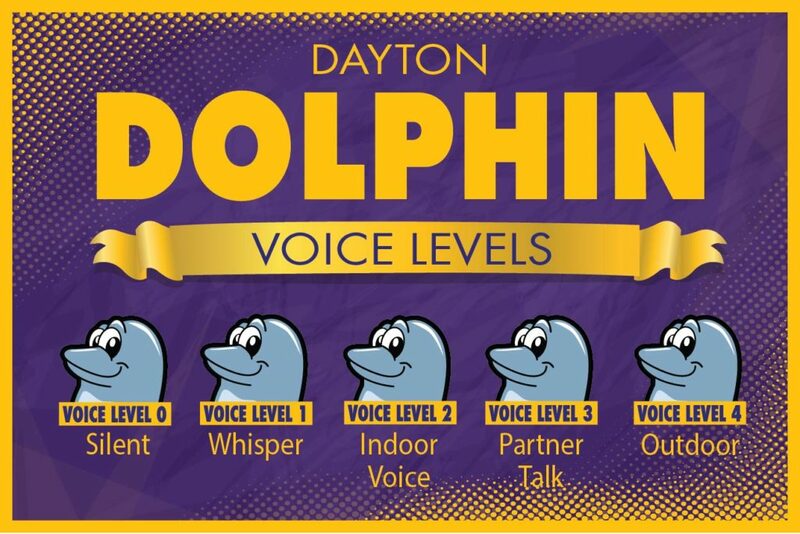 They are part of our mascot-centric climate creation system which helps you leverage your dolphin as a role model to visually demonstrate the behaviors and character traits you want to reinforce.